Thank you to ALL our service men and women, who have so bravely served our country and sacrificed their lives for this great nation. I hope we each can take a moment today and be thankful for the love ones we still have with us here on earth. 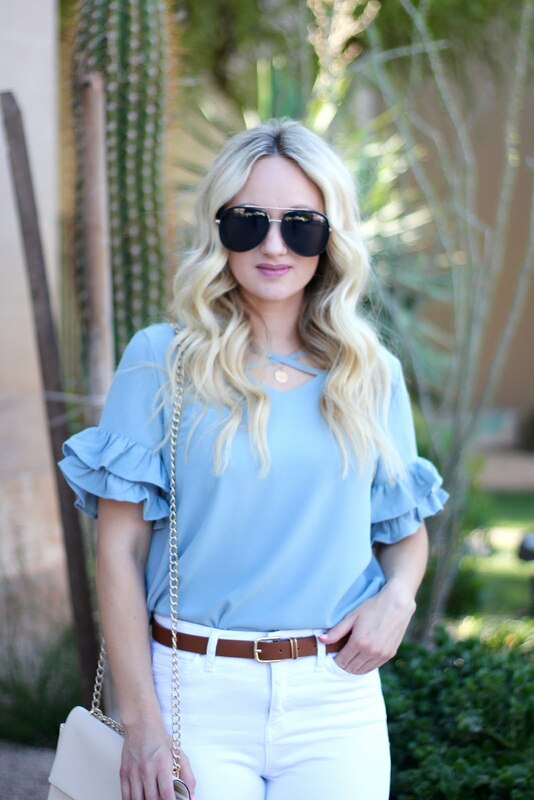 This little blue ruffle top is the cutest thing ever! I think I may just have to order some more! It comes in 9 different colors and is only $19 (and free shipping)! Just order a size up (I am wearing a medium for reference).